Sky's puppies are one week old! 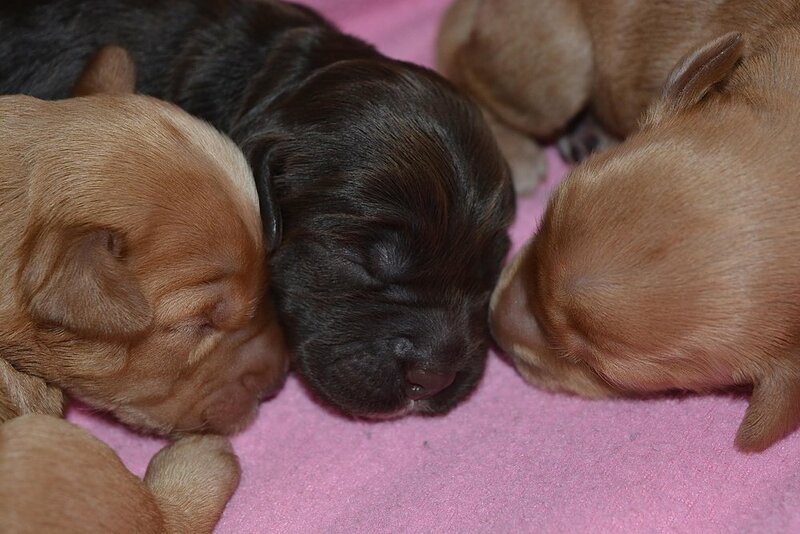 Sky & Wilbur are the parents of these adorable puppies that were born 1 week ago. These delightful puppies are so content and such little sweetie pies. I'm thinking that they will be easy going gentle souls just like their mama and papa!